McPhee is responsible for acquiring 13 players on the current roster during his 17 years as general manager and also hired longtime friend Brian MacLellan, who became his successor and built the rest of the team. Kicked around the past five years for trading Filip Forsberg to Nashville for Martin Erat and not being able to bring the Cup to Washington, McPhee has his fingerprints all over this final after building the foundation of each team. "It's funny how life goes,'' McPhee said Sunday in Las Vegas. "Two years ago I was walking around Ann Arbor kicking stones and couldn't get a job." McPhee went two years between his job as Capitals GM and his new one when new owner Bill Foley hired him for the dream job of his life as GM running the as-yet-named Vegas expansion team. 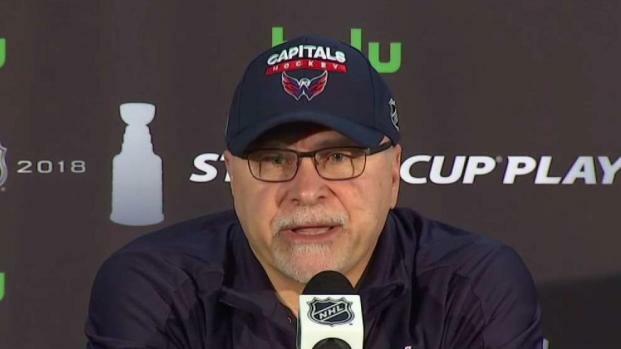 From MacLellan to captain Alex Ovechkin, star center Nicklas Backstrom, goaltender Braden Holtby and management staffs on either side, this final in many ways is a validation of McPhee's philosophy, knowledge and career. 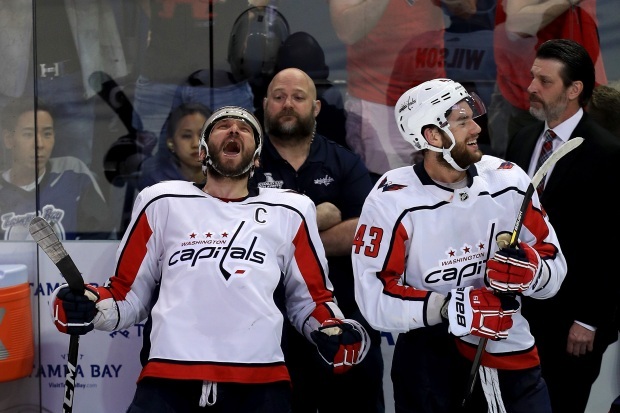 "It's great to see him have success somewhere else," said Capitals defenseman John Carlson, one of 12 McPhee draft picks facing him in the final. "I knew he would, based on the pieces that he put in place here." McPhee was GM when the Capitals last made the Cup Final in 1998 but had just taken over the previous summer. Until the past year, his greatest accomplishment was rebuilding Washington into a perennial playoff team and title contender that went to the playoffs from 2008-2013. After missing the playoffs in 2014, the Capitals did not renew McPhee's contract. "When you're working with (players), they're sometimes like your own kids," McPhee said. "You're on call for them all the time, you're trying to help them, you try to steer them in the right direction. Then you get fired and you're suddenly persona non grata because nobody wants to be seen to be too close to you in the organization. I understand that's how things change quickly and that's the business." Things changed quickly because MacLellan went from McPhee's college teammate and roommate and then right-hand man as assistant GM to the person who owner Ted Leonsis said gave "the most negative of the interviews" among candidates. MacLellan said he felt like he had nothing to lose during the interview process, which led to him landing the job at the same time Barry Trotz was named coach. MacLellan conceded Friday his relationship with McPhee was "not as close" as in previous decades. "I think it just took a little time for things to evolve," MacLellan said. "I think he needed a break from the game, needed a break from how it went down for him here and it just took time." "It's kind of a weird experience," MacLellan said. "It's a little awkward, but it's going to be a fun experience, I hope." 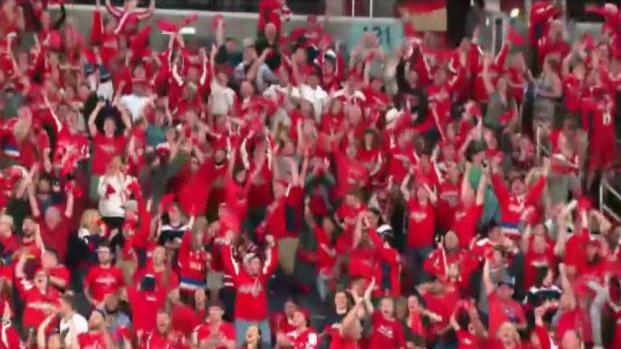 McPhee still has plenty of supporters in the Capitals' locker room, especially among players he stuck his neck out for. He signed Jay Beagle as a college free agent in 2007, listened to now-Vegas goaltending coach Dave Prior and selected Holtby as the 10th goaltender in the 2008 draft and picked Tom Wilson in the first round in 2012. "I have a very fond respect for George," Wilson said. "You always have kind of a soft spot for the guy that drafted you, that brought you into the league, that gave you a chance. ... He kind of always had his players' back." Not only is Beagle thankful to McPhee for taking a chance on him, but he also believes in the moves made to try to bring a championship to Washington well before now, even if they didn't work out perfectly. "The trades and the deals that he made were to win the Stanley Cup that year," Beagle said. "You can always look back and be like, 'Oh it wasn't the right one' or 'It was the right one.' But at the time it was the moves that he felt needed to be done to win a Stanley Cup that year because we had a team to do it for a lot of years." Now that the Capitals -- and Golden Knights -- have that team, McPhee will be there each night to see one of his teams lift the Cup. 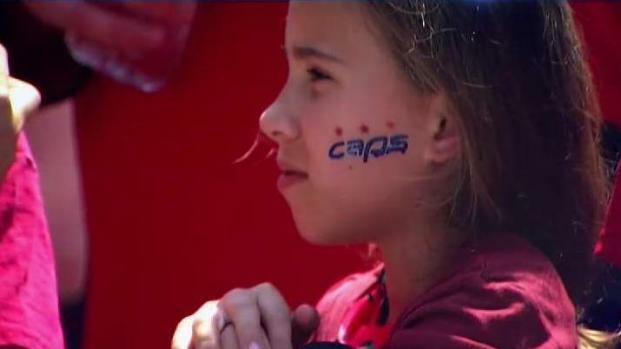 The Capitals are counting down to their first game in the Stanley Cup Final. 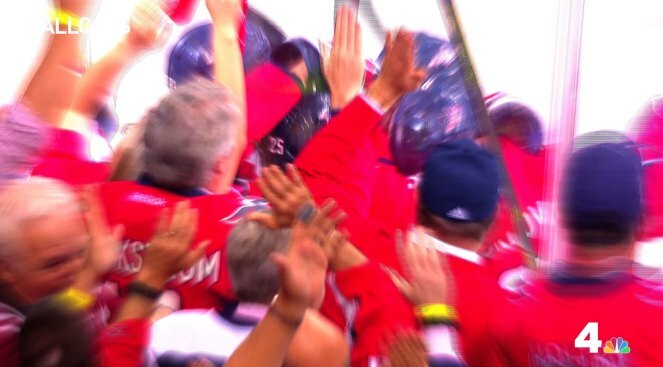 News4's Sherree Burruss heard from coach Barry Trotz about how his son is inspiring him during the final stretch. "I'm certainly proud of the Washington team and the players," McPhee said. "Really happy for them -- and really proud of this team we have in Vegas."